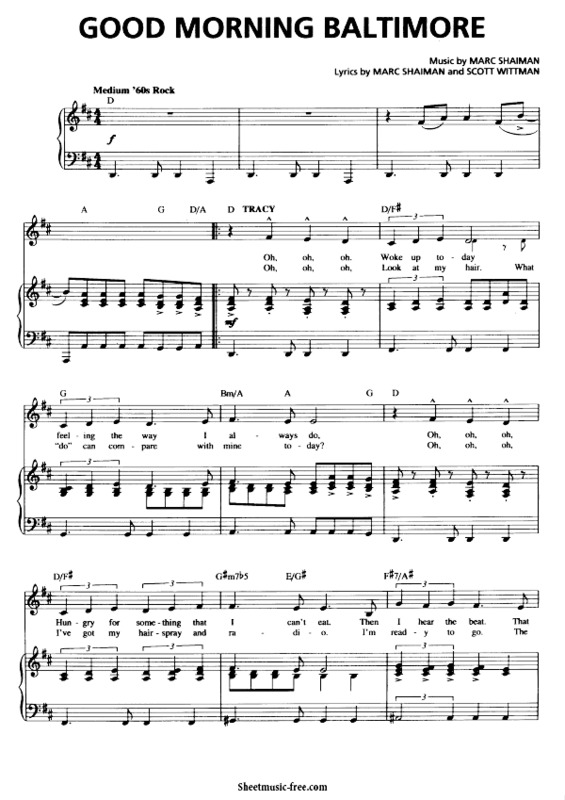 “Good Morning Baltimore Sheet Music“ by Hairspray, Good Morning Baltimore is the opening number of the musical Hairspray. It is performed by the protagonist, Tracy Turnblad. Good Morning Baltimore Sheet Music.